I started writing this post thinking that we had reached a milestone by having people use our scans on ebay. However, the real milestone is that google has started ranking pages on our site as more relavant than similar matches on eBay, craigslist, and Beckett.com. I think that is pretty good company! 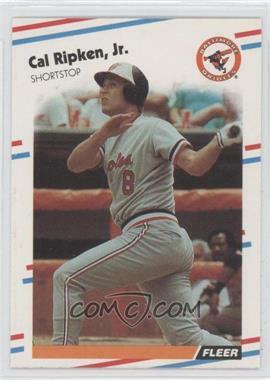 If you take the description of the eBay auction mentioned above, “Cal Ripken – Fleer 1988 Card #570”, and search google for it, you will find that the #1 & #2 hits are now our site. #3 & #4 are eBay, #6 is craigslist, and #9 is Beckett. This auction happens to be starting at $2.00 for a card you can buy from our site for $0.50. This entry was posted in baseball cards, eBay, sports cards. Bookmark the permalink. Wait and see checkoutmycards is the Next EBAY mark my word. Ebay scanning is not even close to Checkoutmycards. This is just the start of the climb up.